Law firm practice management software - are you fully covered? Blog: Choosing law firm practice management software – are you fully covered? Choosing law firm practice management software – are you fully covered? Choosing law firm practice management software can be a bit of a minefield. With so many alternatives on the market, how do you know which is the best and which will make the most difference to your bottom line? And I mean a positive difference, not a negative one! You might accuse me, an employee of one of the UK’s market leading suppliers of legal software, of lacking impartiality. Perish the thought! All legal practices are different and no supplier can be all things to all people. We receive many enquiries from law firms where we can quickly establish that our software is not what they need. Naturally, we advise them of this. There are many things to consider when making your choice and keeping an open mind at the start pays dividends. So, let’s look at a few of the not so obvious deal-makers or deal-breakers. This is actually two questions, not one. Firstly, find out if the software you will use every day at work was built, from the ground up, with a legal practice in mind. This applies particularly to accounting systems where the needs of law firms differ from business at large. The real measure of suitability boils down to whether or not the software is compliant. At the very least, it should enable you to meet all accounting compliance considerations. Secondly, and perhaps less obviously, was the software built with your jurisdiction in mind. Or is it something from another jurisdiction with a few local niceties shoe-horned in? We all recognise the differences between the English / Welsh and the Scottish legal systems. So, should your software. Is everything under one umbrella? There are many good legal software systems on the market that only cover a proportion of your needs. For example, an excellent case management package will cover all your case management needs. However, you will want it to integrate easily with a separate accounts package. You should check if you can do this easily, to avoid costly duplication of effort. There are many systems on the market which integrate well with an accounts package. There are also systems that have accounts and MS Office built directly into them. It’s worth shopping around to find out which suits your practice best. Are the costs of case management, accounts and MS licences all included in a single price? Are initial data transfer costs included or are they itemised separately? What is the cost of ongoing support and assistance? Is it included in the headline rate? If using packages from more than one supplier (e.g. accounts and case management), what is the total bill? If using packages from more than one supplier, what is the total support and training bill? Take care and nail down what your real costs will be. This is simple to do when one supplier provides all the components. It may not be quite so obvious when you are considering more than one supplier. What is the structure of the costs? So, you’re about to make your decision. The shiny new software is on its way. Job done? Not necessarily. 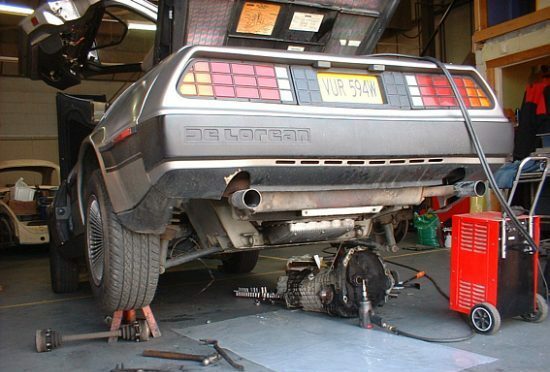 I have a friend who once owned a DeLorean – it looked a million dollars. The problem was, it pretty much cost him that sum to keep it on the road! When looking for legal software, take care to consider the ongoing costs. Are my payment terms flexible? This means, will the initial cost or monthly bill remain constant? Or will it increase after an introductory period? You should also find out what it is likely to cost you to get out of the contract within the first year and beyond. How do the costs measure up against the contract term? Some software suppliers allow you to leave your contract on 30 days’ notice and without punitive exit costs. With others, contracts are a little more complex. You may be offered lower monthly subscriptions in return for signing a contract of longer duration. It’s always wise to work out the balance between perceived lower costs and being tied in for a term that may be inappropriate for your business. Watch out for low-cost, fixed term contracts with punitive exit charges. How will training be managed? I mentioned the costs associated with initial training earlier. Think also about ongoing training costs. However, it’s also worthwhile taking a look at how the training will be delivered. Some suppliers, LawWare included, provide training by their own, UK-based teams. Others farm the training element out to third-party consultants with whom you negotiate course content and price. Whichever method your supplier uses, make sure you’re happy with the calibre of the training providers. Those with solid legal experience and legal and accounts qualifications should be top of your list. How will support be delivered? Essentially, this is a similar question to the one above. After establishing how support is to be paid for, look at how it will be delivered. Is the support UK-based? Is it accessible by telephone or remote access? Do appropriately qualified and experienced people deliver the service? Is it limited to webchat? These should all be part of your decision-making agenda when choosing what will be, hopefully, your long-term business partner. Can you choose between own server and cloud systems? It’s a simple enough consideration. Some suppliers offer cloud only systems whilst others, like LawWare, offer both. The two approaches each have their own benefits. Even in this day and age, an own server set up could be the right approach for your practice. We have produced and article that goes into detail about what to consider when making this choice. You can read it here. How will you get out of your contract? This is an essential consideration right from the outset. You may need to change suppliers for many reasons. “Outgrowing” them. Dissatisfaction with their prices, support or training. You may just feel you made the wrong decision in taking them on. What will it cost to abandon the contract? What disruption will it cause to abandon the contract? I’ve mentioned the former already. For the latter, think about how the transfer of your data between one system and another will be managed. This is crucial for seamless moves from one system to another. All outgoing software suppliers must give you easy and cost-effective access to what is, after all, your data. Those who are members of the Legal Software Suppliers Association, are bound by this stipulation in its Code of Practice. A copy of the Code can be found here, on our site. As a lawyer, you get asked about costs and fees everyday by your clients. It’s tempting for you to make this your first question when shopping around for law firm practice management software. Avoid this temptation! Of course, do keep an eye on costs, but remember some costs are not initially obvious. Look for a deal that provides best value for your practice first. If you do, you’ll generally find that the costs make sense. OK. Impartial bit over. Take a look at LawWare’s offering by clicking this link. 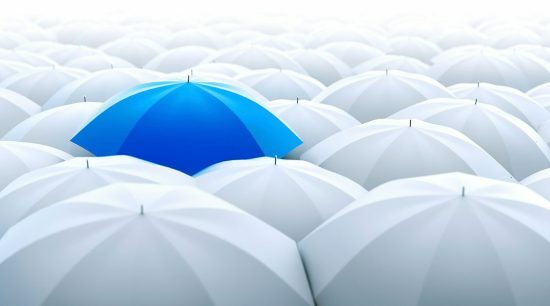 Our approach is simple yet comprehensive: fully integrated systems and support all under one umbrella – we’ve got you covered.